Attune, help, and recover: a structured developmental approach to behavioral challenges in children with disabilities. 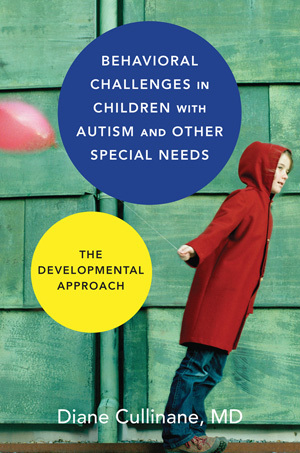 This book offers a comprehensive view of behavioral challenges for a child with autism or other special needs from a developmental perspective based on the DIRFloortime® framework. Parents and professionals are guided to understand and improve a child’s behavior while also supporting underlying developmental capacities for shared attention, warm engagement, trust, initiative, creative shared problem solving, symbolic and logical thinking, and the development of personal values. 3. Create a long-term plan to support developmental and behavioral progress. When a child with a disability has a behavioral challenge, a clinician is confronted with the complexities of the child’s developmental strengths and vulnerabilities, individual differences, and his or her unique pattern of interactions in personal relationships. Keeping all the variables in mind, the developmental approach provides a plan that supports a child’s growth and deepens his or her capacity for perspective and care for others. The framework is based on universal developmental principles, which are effective regardless of the child’s particular age or disability. By recognizing a child’s developmental level of functioning, an adult can select strategies to effectively guide the child toward higher levels of relating, thinking and communicating. Through the process of compassionate attunement, and building on a child’s strengths, adults can optimistically chart a clear path to long-term success. 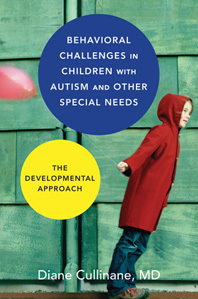 A refreshing alternative to rewards-and consequences-based models of behavior management, the methods and practices in this book will empower any adult who interacts with a child with special needs, whether their work is directly focused on improving behavior, or because they must provide support so that the child can participate in other endeavors. “[A] vital resource for so many families and professionals in the world of special needs... [G]raceful blending of how to turn developmental thinking into helpful responses by walking the reader through the phases of sharing negative moments... [Offers] a unique gift by so explicitly explaining how one actually applies the theory when the relationship most critically needs it.